A trauma-sensitive school system or building is one that is safe and healthy for students regardless of exposure to trauma. In this installment of the series, we discuss the universal level of trauma-sensitive schools and provide information about the practices that can be implemented in classrooms and the school building that promote a healthy and safe environment for all students. 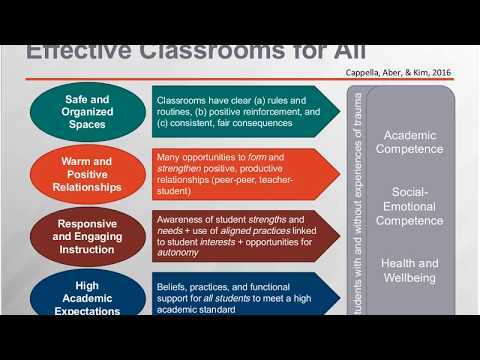 This webinar focuses on classroom management strategies that are trauma-sensitive, promote social and emotional development, and increase opportunities for learning.